Mary Ann Roberts is a Workers’ Compensation, Domestic Relations, and Oil and Gas Attorney in Central Ohio. 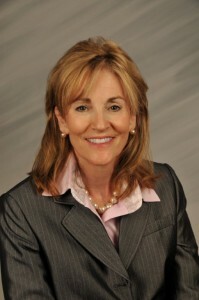 Mary Ann Roberts, “Mimi” is licensed to practice law in the State of Ohio and before the United States Supreme Court. Ms. Roberts graduated from Capital University Law School. While at Capital Law School, Ms. Roberts worked as an intern for a law professor and participated in the Dispute Resolution Program with the Franklin County Court System. Ms. Roberts graduated with an undergraduate degree in History, one of her favorite topics, from Ohio Dominican University. Prior to joining Thomas & Co., Ms. Roberts has had an extensive career in Business, Oil and Gas Law, and Domestic Law. Ms. Roberts worked extensively in the oil and gas industry as a regulator, for a production company, and also for an oil and gas marketing firm. Her experience in the oil and gas industry is very relevant to oil and gas workers’ compensation issues today. Excellent service, passion, and communication with her clients is key to Ms. Roberts’ success as an attorney. Additionally, Ms. Roberts has volunteered extensively and is very involved in non-profit causes and with her church. She loves to spend time with her wonderful family, sing in the church choir, paint furniture, play tennis, and spend time with friends.